The CBS crew directing and filming Sunday's snowy Bills-Colts game couldn't see a yard-marker, and yet they still managed to put on a terrific broadcast for viewers. Here's how they did it. 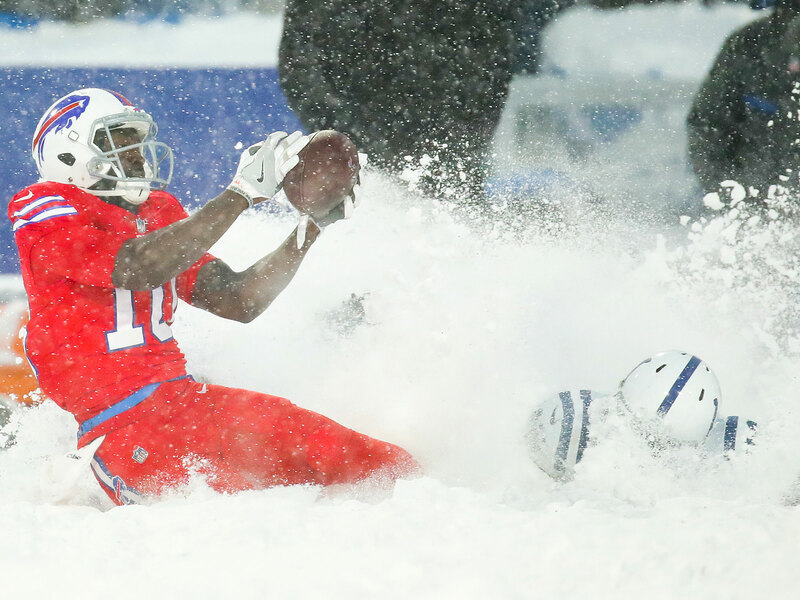 Jim Cornell had a distinct view of Sunday’s snowpocalypse-like conditions in Buffalo for the Bills’ 13–7 overtime win over the Colts. He directed the game for CBS Sports. Cornell, producer Sellers Shy, on-air announcers Spero Dedes, Adam Archuleta and Steve Tasker—and particularly the camera operators working the game at New Era Field—did a tremendous job providing viewers with terrific images given the lake-effect snow that hit Buffalo before game time. 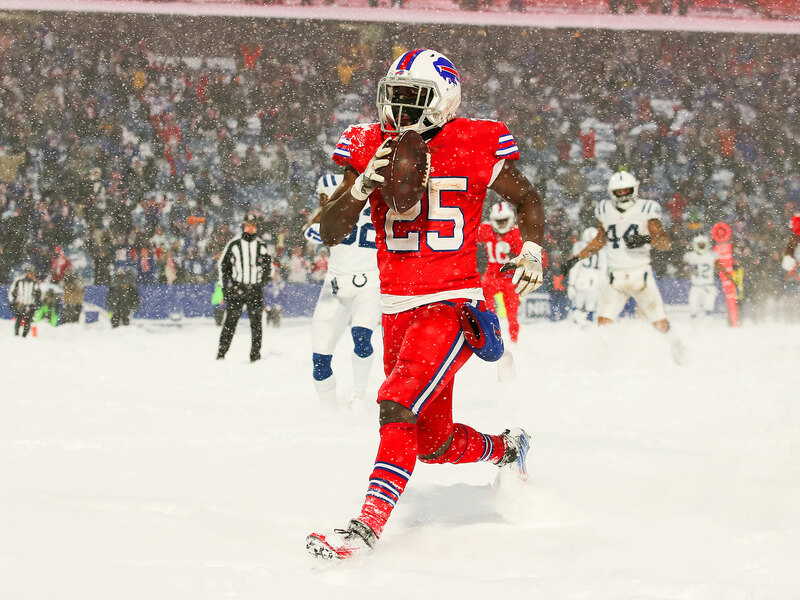 Tasker worked a snowy Bills-Browns game a few years ago in Cleveland which he said was very bad, but he called Sunday’s conditions much worse because it snowed throughout the entire game, and with different kinds of snow. “Small wet snow, then big white fluffy snow, then windy sideways snow; it just never let up,” Tasker said. He played a vital role because he was constantly on the talk-back (the communication device a sideline reporter uses to talk with the production truck) with Cornell and Shy to provide updates on the conditions and give firsthand accounts of how much the players were struggling to see. “It was once in a lifetime conditions,” Tasker said. That’s a big statement given Tasker was a Bills player for 11 years and has lived in the Buffalo community since 1986. “I have never seen the franchise play a game in these conditions,” Tasker said. Cornell said Dedes and Archuleta called most of the game off the monitors in the broadcast booth because looking down at the field was little help. One slight advantage was that the broadcasters knew most of the plays would be running plays. Archuleta was unable to use the telestrator because of the weather. Maybe the best sequence of the game: The production team got a great shot of Colts kicker Adam Vintatieri’s extra point to tie the game at 7-7 with 1:16 left. Viewers had a clear shot of LeSean McCoy’s game-winning 21-yard run but Cornell said he was disappointed in the sequence because there was a blind spot in the camera coverage when McCoy started running in the end zone toward the crowd to celebrate. Also, the shots during the game-winning score from the handheld camera on the field were a little blurry because there was so much condensation on the lens of the camera. One of the last CBS staffers to leave the field was Tasker, who had post-game interview duties.